Want to book your car rental in Lefkada? This is the right place! Search our booking engine for car rental in Lefkada and book the best vehicle for your holidays on the island. Car rental Lefkada will give you the opportunity to discover all beaches and villages on this fantastic island easily and conveniently, at your own time. Greeka.com offers car rental from Lefkada Airport, Lefkada port, Lefkada center and many other locations. Greeka.com does its best to help you hire a car in Lefkada. We cooperate with many Lefkada car rental agencies and do our best to propose you the best prices available on the market. We cooperate with both local agencies but also with major car rental companies which have branches in Lefkada. A lot of car rental agencies are spread all along Lefkada. The Lefkada car rental agencies we collaborate with are easy to access. They provide a wide range of conveniences to our clients. It will be possible for a car rental employee to deliver you the car at your hotel, the port or any other place. Furthermore, you can choose to pick up the car from a place of your preference, for example from the port or airport the day arrive. Moreover, they will be pleased to give you instructions on where to go and what to see in the region. They usually provide a map in all cars or you can ask for a GPS (upon request and extra charge). Discover some car rental compagnies in Lefkada. This is a car hire company with a large fleet of the newest models of vehicles for every need. This fleet includes mini cars, automatic cars, 4x4 jeeps, and even mini vans and people carriers suitable for larger groups. They are based in Nidri, but offer delivery of their vehicles in many towns in western Greece, where their offices are, like Preveza, Parga, Igoumenitsa, and more. This is a car rental company based in Nydri. Their large fleet includes cars for every taste and need, including mini cars, automatic cars, jeeps, and mini buses, as well as various motorbikes and ATVs. They also offer delivery of their vehicles to many locations on the island, and to their stations in western Greece, such as Preveza, Parga, Igoumenitsa, and others. Nidri Car Rental has been operating on the island of Lefkada for almost 30 years, with their offices being near the port of Nidri. Established in 1986, this family-owned company offers a fleet with new models of cars, as well as a wide variety of scooters, motorcycles and bicycles. 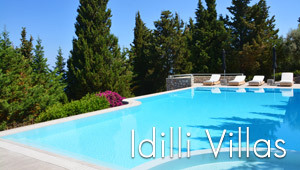 They offer delivery of their vehicles all around the island, and at the airport of Lefkada. This is a car rental company with over ten years of experience, based in Porto Katsiki. Their fleet includes a variety of vehicles, including economy cars, premium cars, 4x4 and 5-seater family cars. They offer delivery of their vehicles at the airport as well as at all major hotels around the island of Lefkada. This company is based in Arta, but they have branch offices on the island of Lefkada, as well as many major towns on the western side of Greece, such as Preveza, Ioannina, Agrinio and Igoumenitsa. The company was established in 2009, and their fleet includes new models of a variety of vehicles, from small cars to family cars and luxury vehicles.